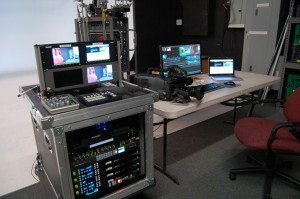 Reston VA / Washington DC webcasting services. We’re building out new mobile video flypacks to support our expansion in our Washington DC Video production and webcasting offices. These new flypacks are well thought out, smaller and just as powerful as our “mini” flypacks you can see here. These flypacks are great for breakout sessions, general sessions, corporate townhall / All Hands meetings and classroom training webcasting. These compact flypacks are well suited for the 1 or 2-camera HD video live event webcast or training that doesn’t require more than 2 audio sources. 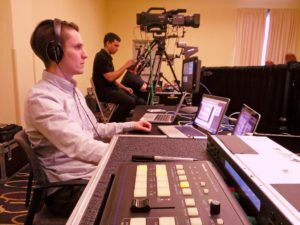 Using these compact video flypacks for webcasting in Washington DC or The San Francisco Bay Area saves money and allows for same day webcast setup. Corporate webcasting such as the Monthly all-hands meetings we produce and webcast for Microsemi, eBay Marketo or VMWare make the live webcasting process simple to produce and give the clients the global reach they need to share, explain, inform and train anywhere. Don’t forget we support the entire web presence you need to webcast. We develop the website and HLS video players as well as host and deploy all content. Our user registration and e-commerce web development can manage the challenging web design and integrations so your your IT staff resources are minimal. Call us for info or visit one of our websites dedicated to live webcasting.